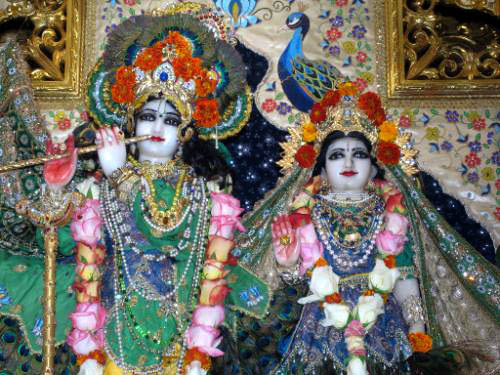 "Since every living entity is part and parcel of Krsna, Krsna is naturally attractive. Due to the material covering, one's attraction for Krsna is checked. One is not usually attracted by Krsna in the material world, but as soon as one is liberated from material conditioning, he is naturally attracted. Therefore it is said in this verse, sarva-cittakarshaka: 'Everyone is naturally attracted by Krsna.' This attraction is within everyone's heart, and when the heart is cleansed, that attraction is manifested (ceto-darpana-marjanam bhava-maha-davagni-nirvapanam)."